Talent analytics is a topic of hot debate today. While some may perceive talent analytics as drinking the Kool-Aid – most HR practitioners are convinced of its tremendous benefit to the business. According to the Deloitte 2017 Global Human Capital Trends report, while 71 percent of companies see people analytics as a high priority in their organizations (31 percent rate it very important), progress has been slow. The percentage of companies correlating HR data to business outcomes, performing predictive analytics, and deploying enterprise scorecards has barely changed from last year. Going forward, talent analytics adoption will go up as HR is increasingly called upon to make strategic, data-backed decisions impacting real business outcomes. Today, we see organizations beginning to dabble with talent analytics; but even those that have a more mature model and moved up the value chain of talent analytics have only scratched the surface. The possibiities can be endless: skills-driven competitive advantage, impact of people on revenue, skill demand driving innovation, employee lifetime value determining future growth and more. Success from talent analytics programs will require leadership buy-in and support, cross functional teams, focused investment and collaboration between HR, IT and business. Rather than viewing it as an HR program/initiative, leaders must come together and link business goals directly to talent strategies, powered by talent analytics, to solve problems and drive business results. 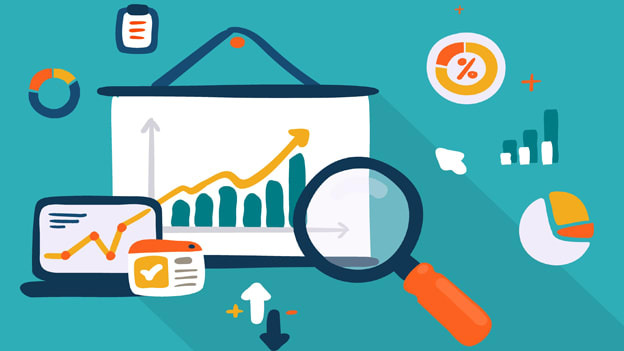 As people costs are often the largest expense for a company, analytics can be the secret weapon that shines a light on many organizational challenges. While widespread adoption may be limited at this point, going forward talent analytics will be applied to a spectrum of business challenges, far beyond recruiting, performance and engagement. Are there processes to capture clean and reliable data? Is there leadership buy-in for actions/interventions from predictive analytics? Does the organization have a central data warehouse? Does the firm have technology to support advanced data analytics? Is the organization open to integrating structured and unstructured data from internal and external sources? It may also help to study talent analytics journeys undertaken by companies and the outcomes that have been accomplished. Here I walk you through a case study of one of our clients, one of India’s top IT players, where we jointly solved real business problems using intelligent talent analytics. Our customer is a global IT services company, with an employee strength of over 110,000, spread across 30+ countries. The company addresses the IT/ITeS needs of diverse industry verticals including Financial Services, Manufacturing, Telecommunications, Retail, Health care, Energy Utilities, Travel, and Government. As one of the fastest growing companies in the IT sector, fulfilling numerous vacancies at satisfactory lead times (including recurring workforce demands), was proving to be a challenge. This was impacting both the revenue as well as customer satisfaction. Some of the challenges identified were: data was not clean and existed in silos, HR processes were not being measured, lack of planning and forecasts, and so on. With the aim to optimize talent acquisition and management by 10-20 percent, we embarked on a talent analytics journey with our customer. The first step was to bring all the data together. This was followed by building advanced analytics algorithms that would analyze past data to help HR reflect and learn from the past, and to unearth the treasures that lay within the data. We then worked closely with our customer to formulate the right questions: Which recruitment channels were being used the most; which one was the most cost effective; what is the existing fulfillment ratio; what is the lead time to hire a person for a particular skill, and so on. This helped us get a thorough understating of the current, as-is state. Then it was time to chalk out a robust plan for the to-be state. We developed a set of predictive models that would provide insight into what might happen in the future. For e.g. : What are the chances that an employee would attrite, determined by parameters such as pay slip downloads, pre-closure of car loan, etc. 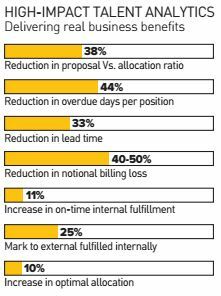 This helped our client better understand the demand and supply for more efficient workforce planning. We also worked on improving the accuracy of the forecasts that our models provided to aid strategic decision making. Moving on to the next level, our aim was to optimize talent by empowering HR with models that could not only predict the possible consequences based on a different choice of action, but also recommend the best course of action for any pre-specified outcome. With this, HR could choose the optimal channel to recruit from, decide whether to look for a resource internally, or mark to external to fulfill a certain demand. We went a step further and optimized the internal workforce by analyzing their profiles and recommending appropriate jobs within the company, and also a learning path that would help bridge skill gaps, if any. While descriptive analytics is mainly transactional reporting, predictive analytics stops at providing causal relationships between disparate datasets. Prescriptive analytics takes this analysis a step further and provides recommendations based on the predictions. By embedding a layer of artificial intelligence, HR could make strategic use of the analytics that they already have on hand. A successful analytics program needs to deliver descriptive and predictive models with intelligence, insights, inferences – and prescriptive actions to drive value. Spiffy dashboards or sharp statistical models are no longer going to make the cut. 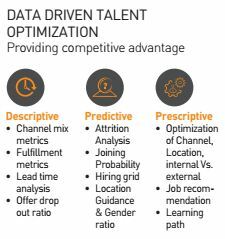 This is where a team of statisticians, data scientists and domain experts can jointly add value to find answers to a company’s most pressing talent challenges or uncover the next big thing. Further, HR leaders have a golden opportunity to enhance their credibility when they can deliver fact and data-based business cases for what they are doing, argue why investing in a specific workforce program will deliver a certain ROI to the business, and when they can help their CEO prioritize and allocate budgets and resources across HR, marketing, sales, production, etc., for optimal business execution and business performance. This could also be the magic bullet that gets HR get that coveted ‘seat at the table. In the end, making HR and talent relevant to the business by speaking the language of business is what is going to make the big difference.